We love seeing what users do with our plugin. 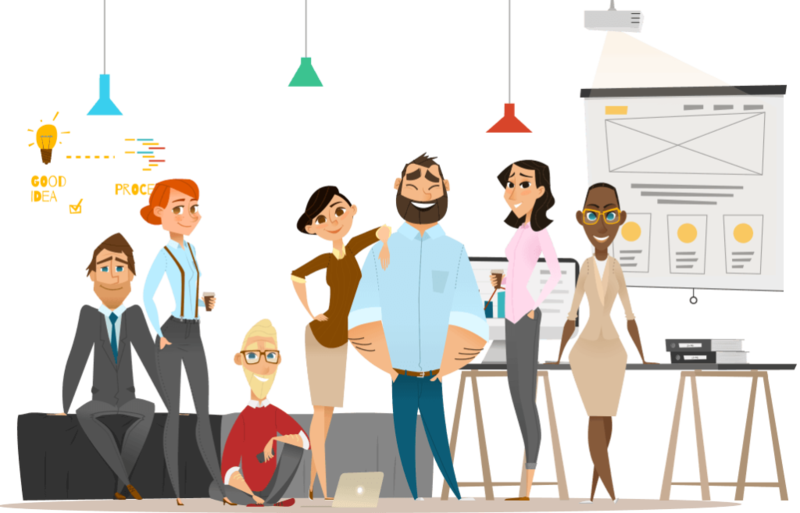 These sites show off some of our favorite sites using both standard styling and custom CSS. 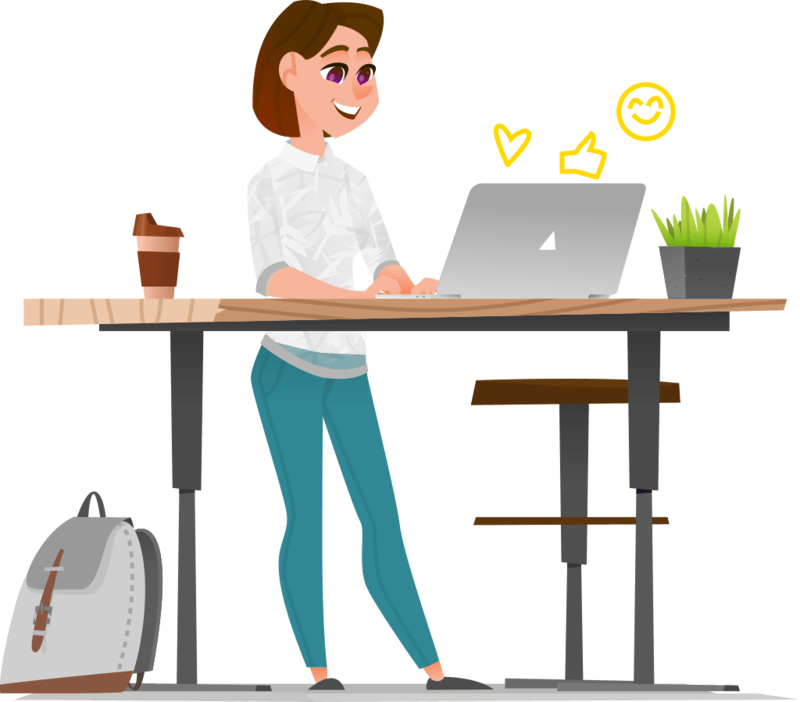 Interested in getting your site featured? With dozens of occurrences for each event, LTC makes good use of the sidebar panel calendar. They use a smidge of custom CSS to apply their color palette and to customize the event info displayed in the slide down panel. 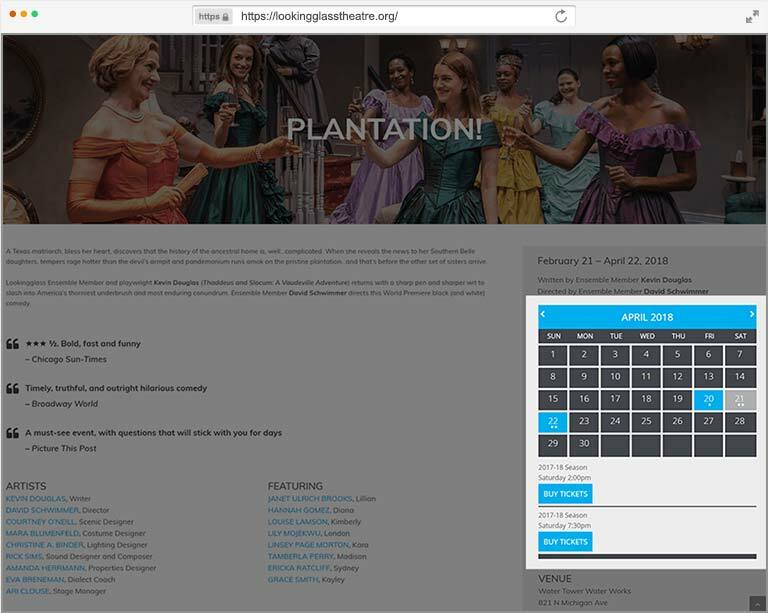 They create a sidebar calendar for each show to use on both the single event page and their homepage. 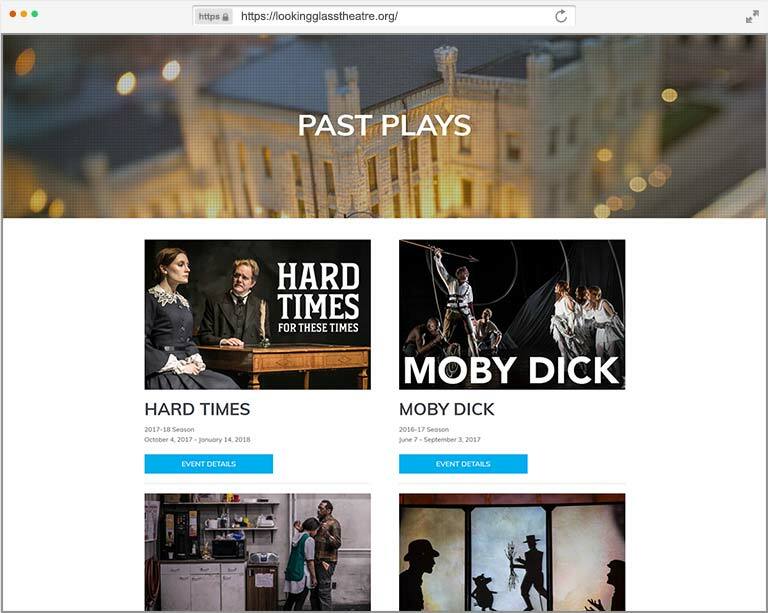 LTC’s Past Plays page uses a standard list set to only display events marked as archived. They’ve kept things simple by only using the Featured image, title, post-title, and run dates modules for the listing layout. Some straightforward custom CSS creates the two column layout and that’s all there is to it! THS is a master of getting every last drop of awesome out of VEM’s extensive CSS class structure. 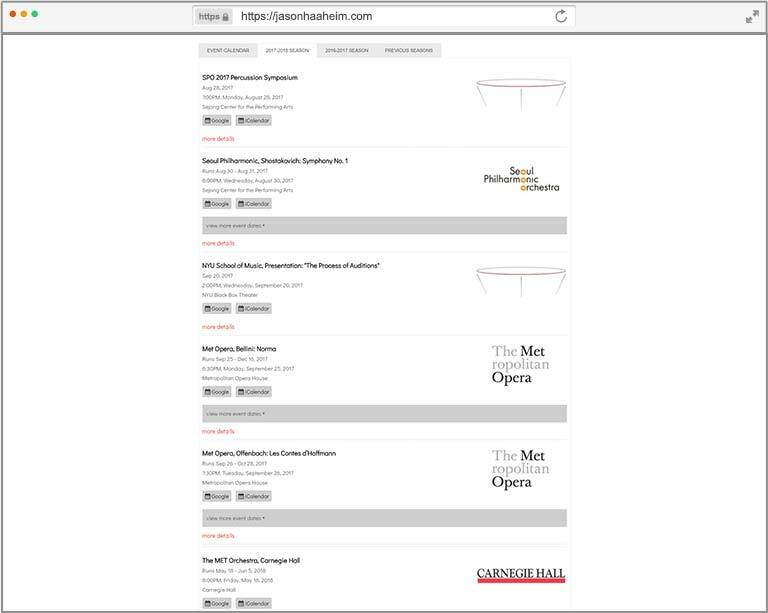 In this example, their main event calendar features custom CSS for the item padding, font sizes, font weights, and a super slick ticket purchase button. Since they already keep a lot of info inside each calendar item, they have it set to click through to the single event page instead of display a more details popup. 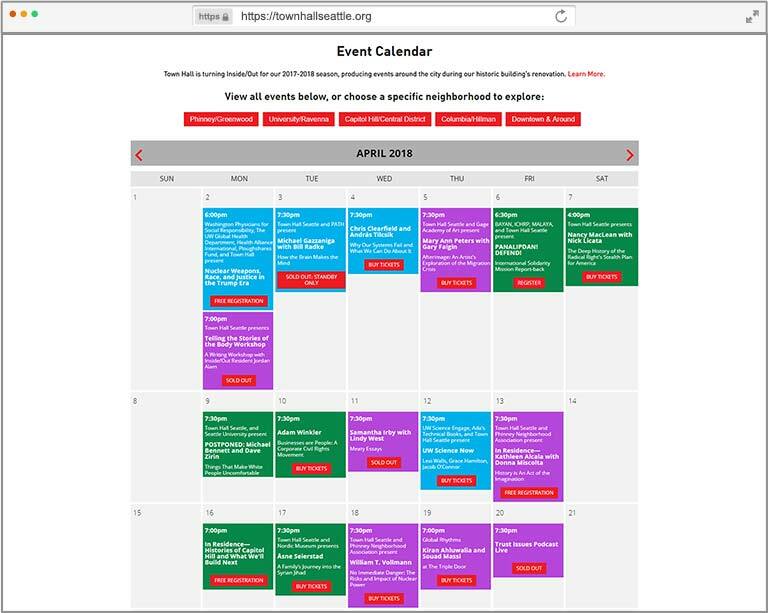 Talk about being flexible, THS fit the sidebar panel calendar and event keyword search in their event listing layout. They also created a charming toggle nav that leads to additional category and venue specific event lists. 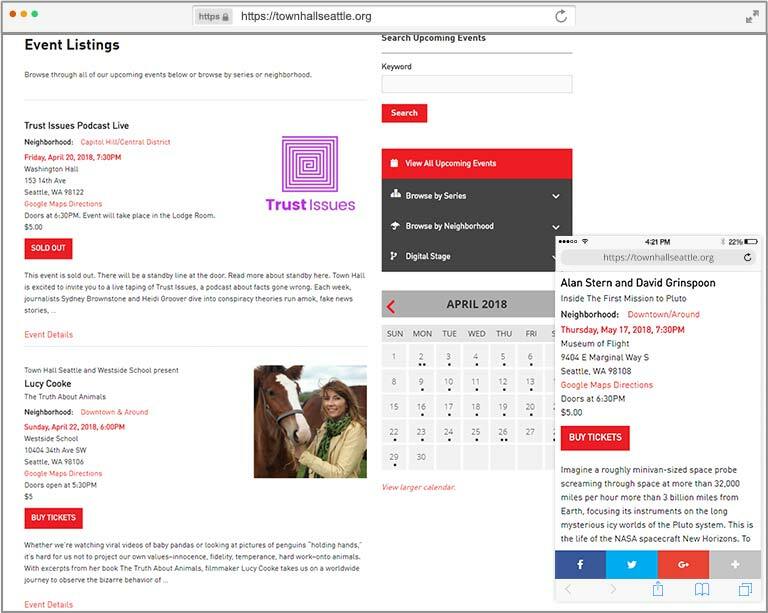 Bold calls to action on ticket but buttons complement the pre-title, title, post title, who/what/where occurrence info and event excerpt modules they use to put event info at user fingertips. And speaking of fingertips, everything stacks perfectly in mobile. The Amarillo Symphony Orchestra makes good use of VEM’s upcoming event modules. 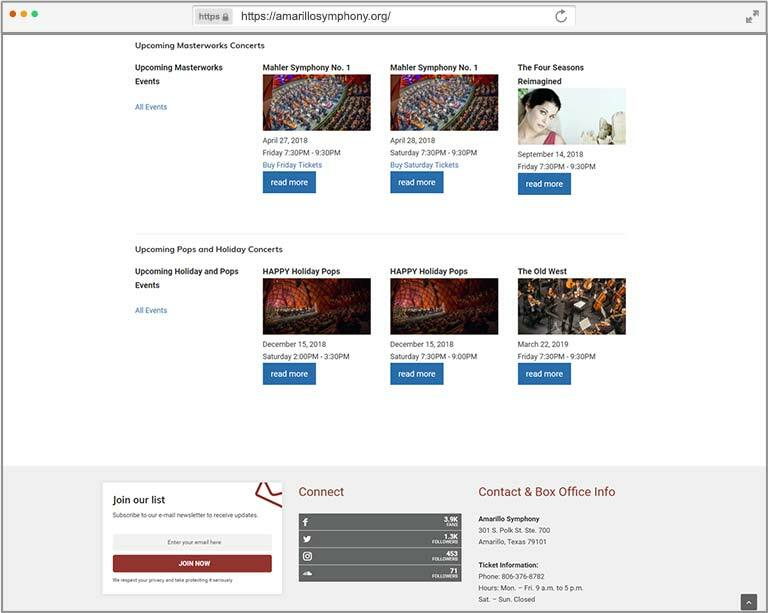 their homepage features two mutually exclusive modules, one to display upcoming masterworks concerts and another for pops and holiday concerts. Both modules are set to use a freeform text area for the first of four columns, which they’re using to point to the full event listing. No custom CSS here, just default Pro functionality. Engeman Theater knows how to get the most out of standard functionality. Their main event calendar is using the default, out-of-the-box styling. They’ve applied their own event category colors and have the calendar set to display the pop-up event details info with both event details and buy ticket links. 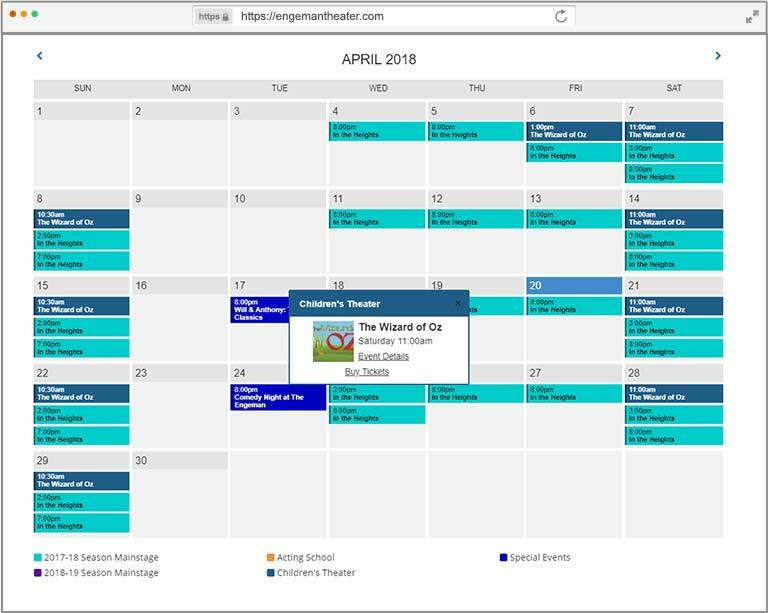 In addition to category specific colors, Engeman assigns a unique color for each of their mainstage shows, which makes it easier for site visitors to visually identify one show from another when scrolling through months. Jim Stephenson is a composer. He’s also a conductor…and an academic lecturer…and clinician. What we’re trying to say is he’s a really busy guy and an amazing composer. He needed a calendar to clearly convey all of that awesome without taking a lot of time to put it together. The result is a simple system that uses 100 percent default functionality. 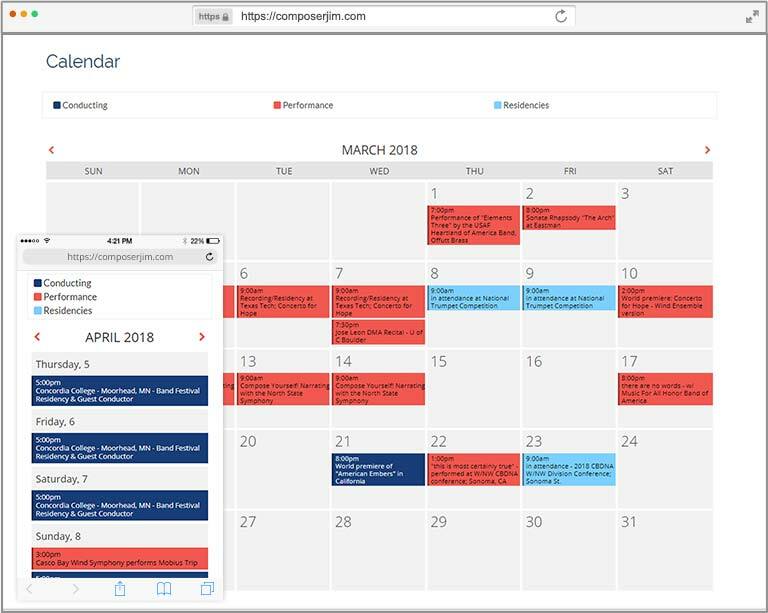 Each of his primary career activities has its own category color and the calendars full page and auto-stacking layout on mobile take responsive design to the next level. When you’re the principal timpanist of the Metropolitan Opera (one of the busiest opera companies in the world), you’re going to have a busy scheudle. 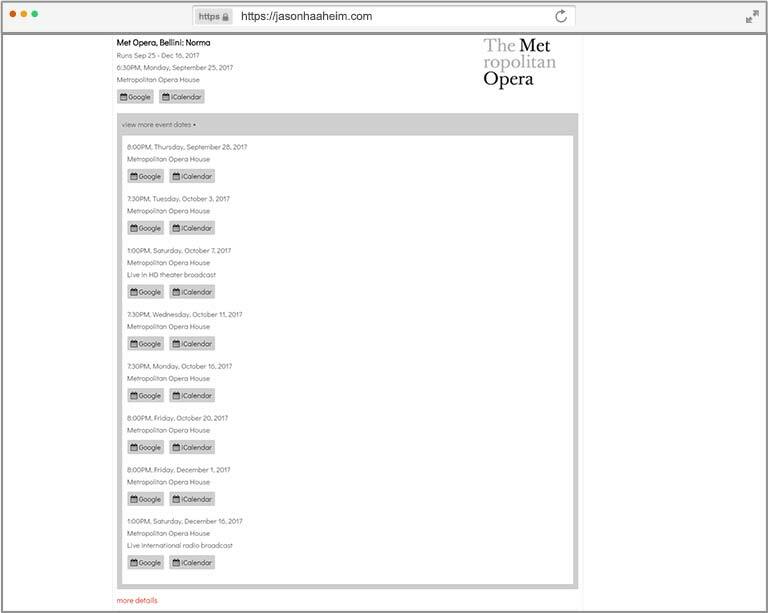 Each season Jason enters hundreds (maybe thousands, we stopped counting becasue there were so many) occurrences and has his event listing layout configured to maximize all of the little differences from one occurrence to the next within the same opera event. Want to see which occurrence is part of the Live in HD theater simulcasts or which ones are broadcast on the radio? No problem. He groups all of those occurrences into “see more” toggles so everything remains visually tidy and intuitive for site visitors. All of his lists use default styles and functionality, no custom CSS. But with all those occurrences, he does make good use of the Event Occurrence Importer add-on!